Learn how to use Canvas to create, import and edit images and patterns. CanvasWorkspace is FREE and loaded with FREE projects, and available optional features to help you create virtually limited personalized projects where you want, how you want and whether from your computer, your tablet or on your phone, design your way! You will need to bring your machine and laptop or iPad. Come in and learn how to use your feet and learn about what's new. You will learn to use the different feet that Brother, as well as other makes and models, offer for their machines by making a few small projects. In this class you will be learning ruching and sewing on buttons. Yes! We have a new teacher! In four Tuesday afternoon classes, you will construct a Baker's Apron from a pattern, focusing on interfacing, up-stitching, top-stitching, contrasting fabrics and embellishment with trims. Come and sew with others who share their talents and sew for charity. Bring your machine and they will supply the materials! We are so blessed - come and share with those who aren't! Usually meets first and third Thursdays. You will be embroidering this cute bicycle design on a tote bag (can be purchased at Friendly Stitches) and will learn how to move your hoop and how to embroider a fringe flower. 5x7, 6x10 or 8x12 Hoop. Design is included in class fee. This bag is available on 3 different sizes, from purse-sized all the way through a large bag perfect for your carry-on luggage! A buckle and purse hardware make this a snazzy bag, and add some optional piping for added visual interest. Formerly ConKerr Cancer. Come and help others sew pillowcases for hospitalized children. Bring your sewing machine. Free! Fashionable organizer that is fun and functional. Designed to use with a standard clothing hanger, button - hook and loop strips & vinyl pockets provide storage for everything from jewelry, hair clips, office supplies or sewing notions. You will learn to make paper sculptures and receiver tips on using shadowing with ink, and how to use glue dots and adhesive with your Scan-N-Cut. What a great project! Learn to make tubes and construct this cute bag. This method can be used in numerous Auntie Two patterns. Tag along pouches come in two sizes, small & medium with optional inside pockets. Pattern has QR codes which link directly to instructional videos. Come and join in the fun! Learn to sew with knits - and its unique properties. We will be learning the special techniques to work with stretch knit fabrics and machine settings. You will be making a knit top like this one from a Butterick pattern. Join the fun! Great summer project! You will find this mouthwatering design delish for an entire mix of sodas. You will work with fabric and vinyl applique in the hoop. Design is included in class fee. This bag is the perfect bag to take with you on your weekend away! It is large enough for all your essentials, with two inside pockets. This is such an easy pattern! Click on class name for more information. Easy and fun to make, these bags in five sizes are perfect for storing and carrying make-up, sewing supplies, tech gear, and more. The pattern includes complete step-by-step instructions for making the bags with or without quilted fabric and for adding optional iron-on vinyl laminate to make the inside easy to wipe clean. Double-slide zippers and handy grab tabs make the bags easy to wide and attached side panels prevent contents from falling out. An optional strap with swivel hook may also be added. Finished sizes of bags are extra small, small, medium, large and extra large. 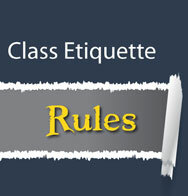 Only one rule: please be considerate and respectful of others (teachers, fellow students, facility). In other words, fees are due at time of registration, cancellation and refunds only available 10 days prior to class, no children or guests or cell phones and your machine must be in good working order. That way we can all learn something and have fun doing it!